Kids clown. Birthday Party Clown. Performing clown. We book kids clowns nationwide. 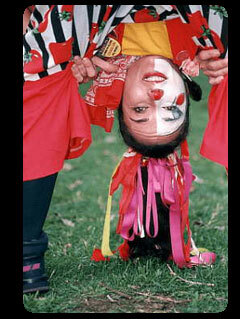 Our kids clowns are fantastic for young kids at birthday parties and festivals. At your kid's next birthday party, book a kids clown. Our kids clowns dress up with their clown make up. Our kids clowns are multi talented artists. Our clowns have many skills and are known to be balloon modellers or face painters or kids magicians or stilt walkers or jugglers. East Rand Boksburg, Benoni, Kempton Park, Germiston, Brakpan, Springs, Nigel. Natal (KZN) Durban, Pietermaritzburg, Umhlanga, Amanzimtoti, Ballito. West Rand Krugersdorp, Roodepoort, Randfontein, Potchefstroom, Klerksdorp. Book a Kids Clown now.